Teton has eaten Natural Balance food since he was a puppy. We’ve given him quite a few of their treats (and he’s loved them, of course) so I was thrilled when our pals at Mr. Chewy offered to send us a bag of their new Jerky Bark to review. I usually buy Teton hard treats because I don’t like it when soft treats get stale, but I’d been eying this Jerky Bark for a while at Petco and hadn’t thrown it in my cart yet. 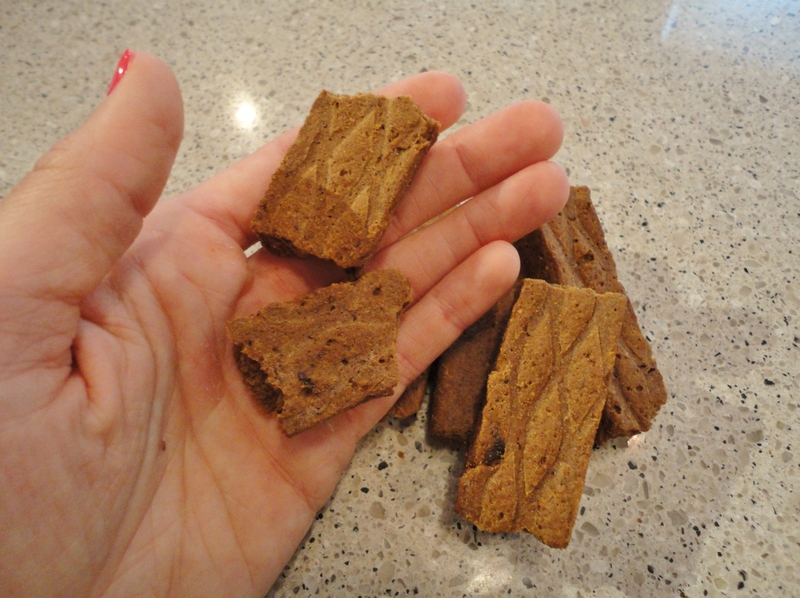 Jerky Bark is part of Natural Balance’s L.I.T. 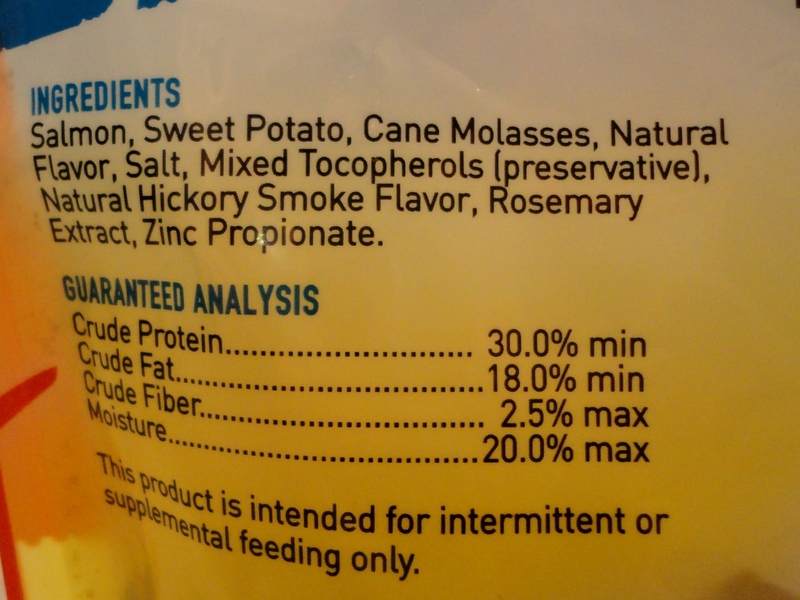 (Limited Ingredient Treats) line and I love that these treats only have a handful of ingredients in them. Jerky Bark comes in four recipes – Fish and Sweet Potato (our pick), Duck and Potato, Lamb and Brown Rice, and Chicken and Sweet Potato. 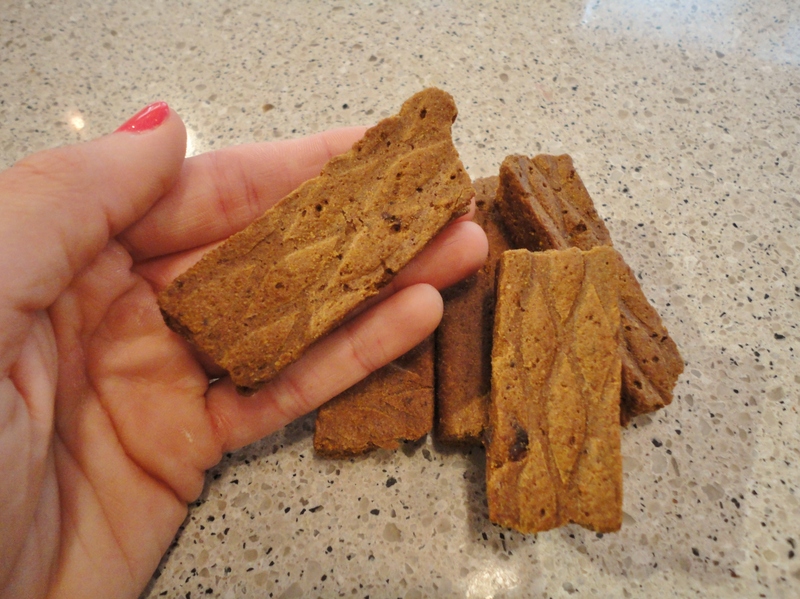 These treats are essentially like a doggie protein bar – thick, dense, yummy, and packed with protein. One of the benefits of a softer treat? Or easily break them into smaller pieces! 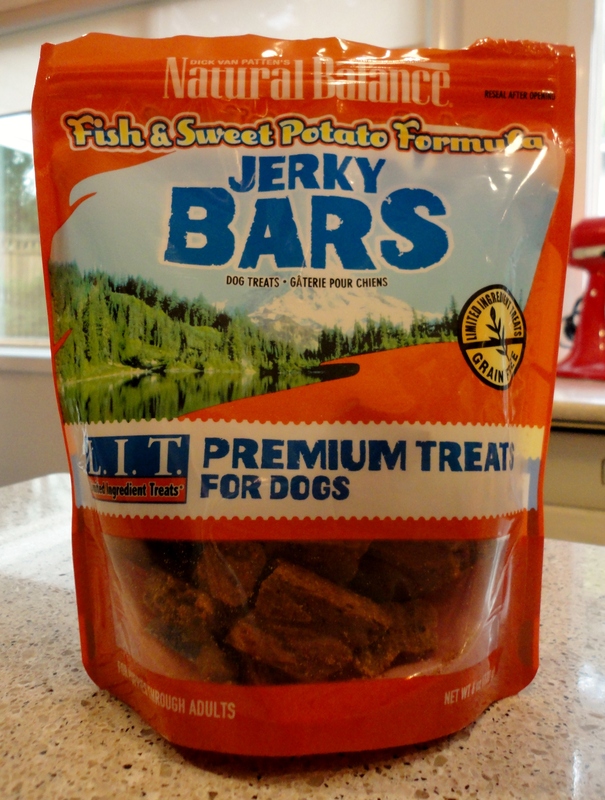 Not surprisingly, Teton loves these treats. I can’t wait to give them to him on a hike when he needs a little pick-me-up. I think they’ll do the trick. 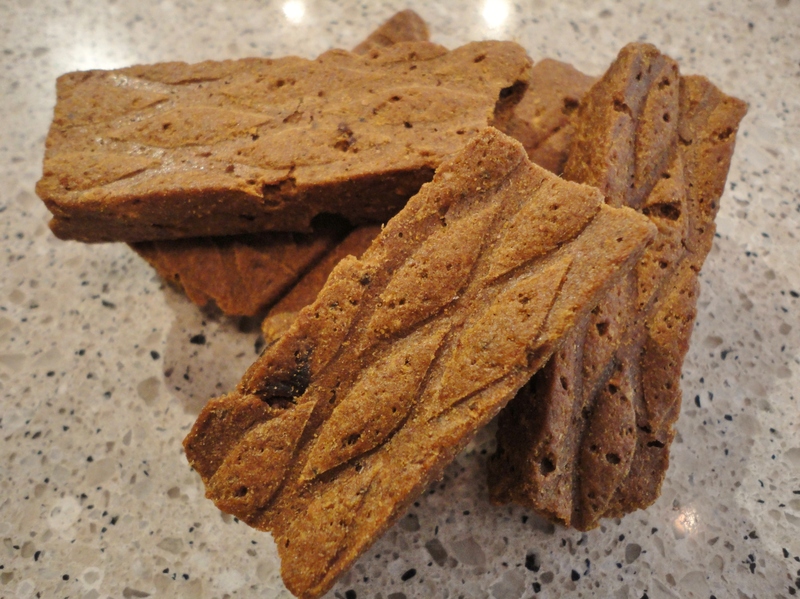 Jerky Bark is on sale now at Mr. Chewy! 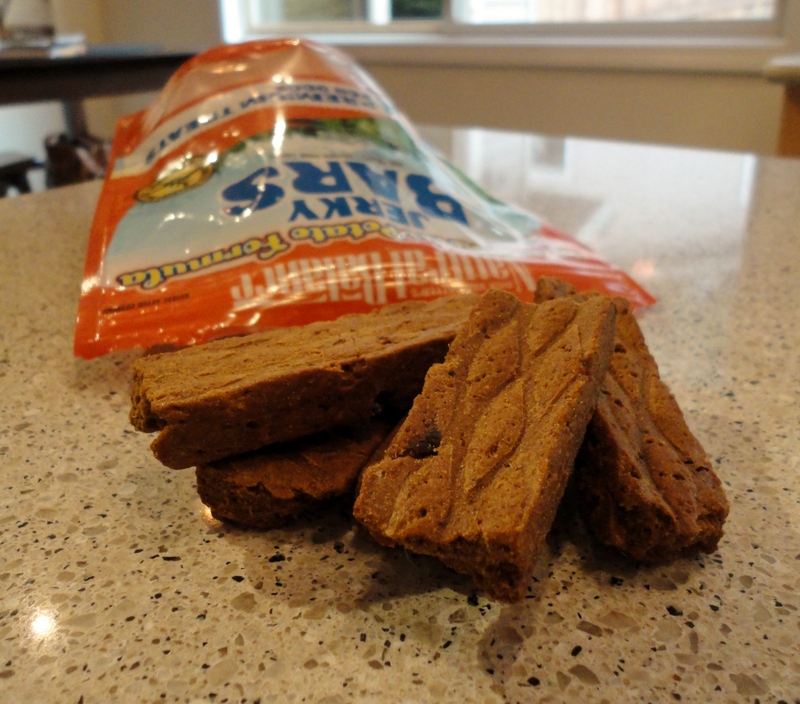 If you’ve been wanting a new treat for your dog that has minimal ingredients, give these a try. 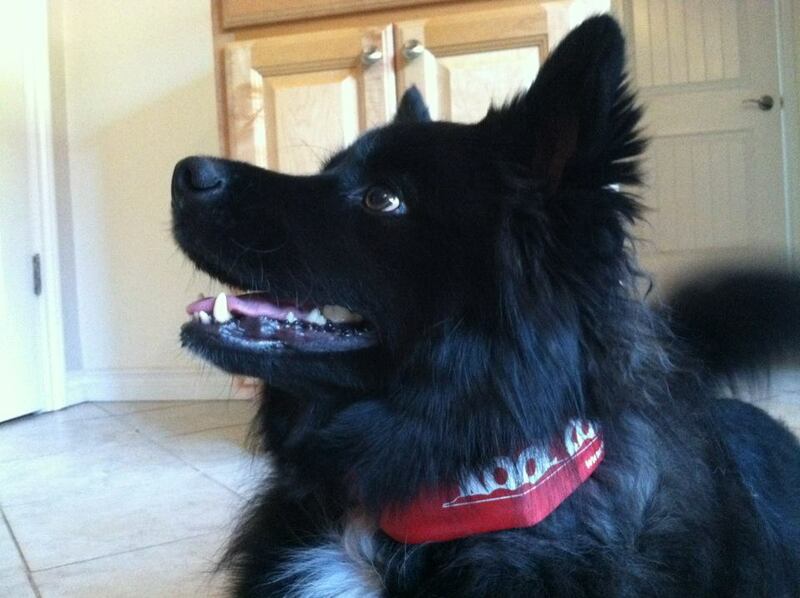 Now, if you’ll excuse me, I need to go refill this little dude’s Kool Collar. Posted on August 6, 2013 by Shannon	This entry was posted in Treat Jar. Bookmark the permalink. So Mr. T gets to visit Grandma this week — yeah! I will be sure to spoil him…. Wow! That seems quite a nice food for dogs! I might consider this food for my pets! Thanks for sharing it! You bet! Thanks for stopping by Her Dog Blog!